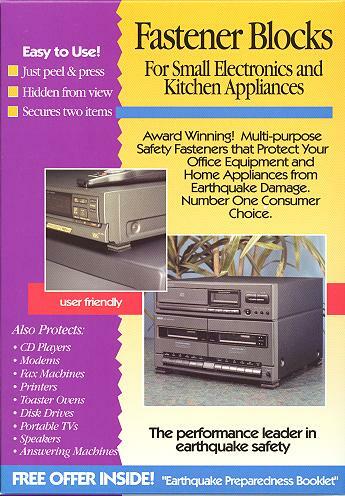 An excellent way to secure single and stacked electronics and small kitchen appliances. One is a thick cushion pad to offset the feet of your equipment and raise the level up by 3/8" to allow your equipment to vent and move with the motion not against it. the second is ridged arrowhead gripping barbs which are the "hook" that grabs the loop. Applied with a simple peel & press application, the blocks are hidden from view. Each box contains 8 blocks which is enough for 2 items. It is non-damaging to finished furniture or equipment.